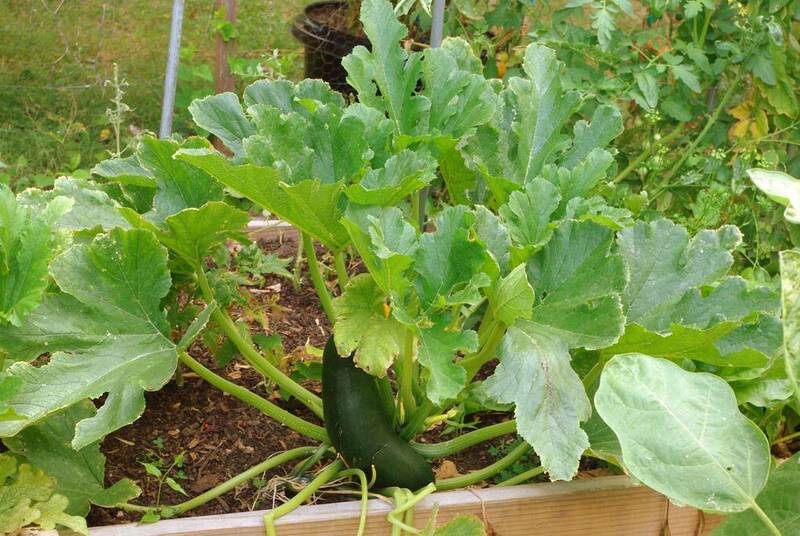 Although I tried growing zucchini in the past, this is only the second year that I've seriously grown it as an experienced gardener. Although I'm not super-crazy about this squash, it's the promise of huge yields that attracts me. I've heard stories of people trying to give away zucchini, leaving bags of the dark green beauties on neighbors' doorsteps. I don't know if I'll ever be counted among the ranks of those with more zucchini than they know what to do with. In fact, I wasn't even sure that I'd be included in the group of people who have ever grown a single zucchini -- until now. 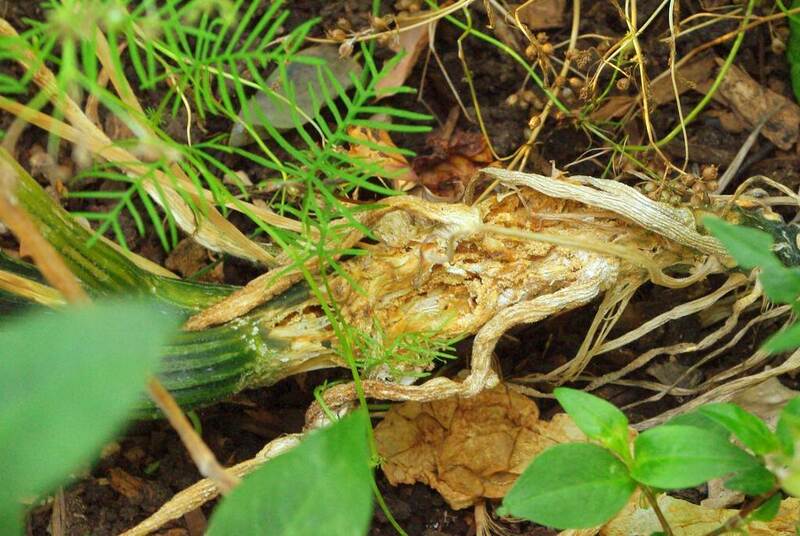 Last year I had two zucchini plants, and neither produced any fruits, and both eventually died. The one in the above photo was planted out first this year, and appears to be headed along the same path as last year's plants. I think that squash vine borers are the problem here, but I can't be sure. The stems split and crack open, but the plant doesn't die. It's just not yielding any squash. It could very well be location, and that it doesn't get enough sun. I'm not sure why the older leaves look so bad -- maybe they didn't get enough water and it's burn? In fact, some of you eagle-eyed readers may have spotted a fruit forming. I'm joking of course, as this thing can't be missed -- it is HUGE! I don't know if it's finished growing yet, but I decided to harvest it before something bad happens to it. 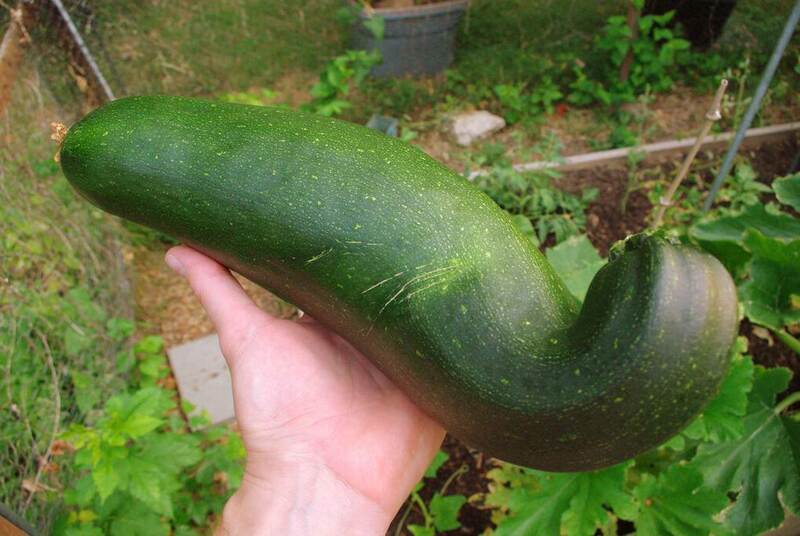 It's so large -- it that normal for zucchini? Seems to be a lot bigger than any zucchini I've ever eaten before. Almost 3 pounds (2 lbs 14.5 oz, or 1.32 kg) of squashy goodness. They're not the most nutrient-packed or flavorful veggie out there, but a decent source of vitamin C and a few other vitamins plus Manganese. Not yet the overwhelming harvest of zucchini I'm still shooting for, but maybe it's coming soon? My neighbors can only hope. 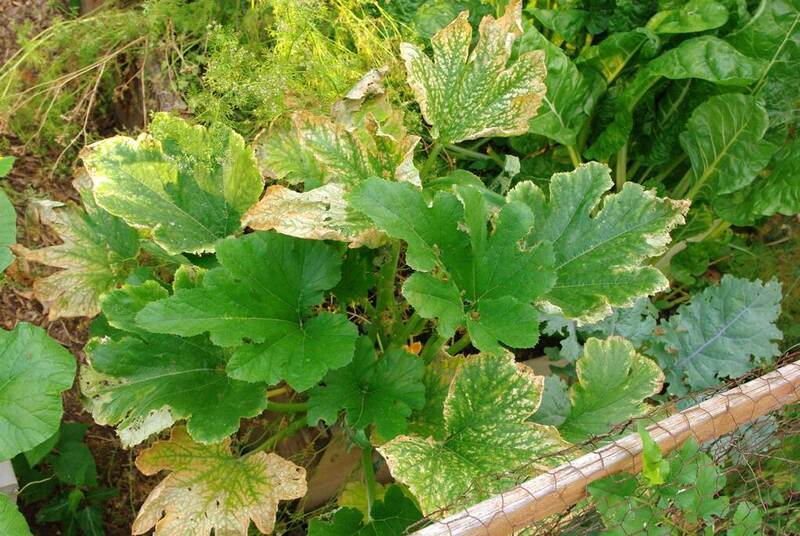 Diatomaceous earth earth around the base of the plants. Best wishes! Oh, and supposedly if you harvest the squash when they are small (4-6 inches long), you will get more squash. I am not certain this works, but I do know it allows the plant to use it's energy elsewhwere. that first plant looks it is nitrogen deprived, but i am not sure as i didn't see the real thing. 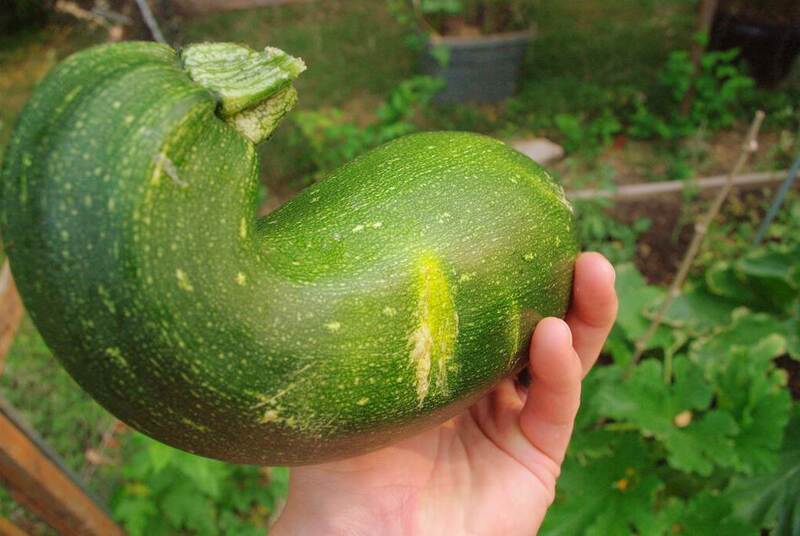 I've had zucchini grow as long as my arm, from elbow to fingertips.. But the smaller ones are better tasting in my opinion. As they grow larger they get more watery. And it's true - if you pick the smaller one, the vines keep producing and you'll have a better yield. But you have to check them frequently - I've seen them literally double in size overnight. I agree with Monica. Harvest them when they're small (the size they sell in the store). The large ones are still good for baking though. Think zucchini bread! 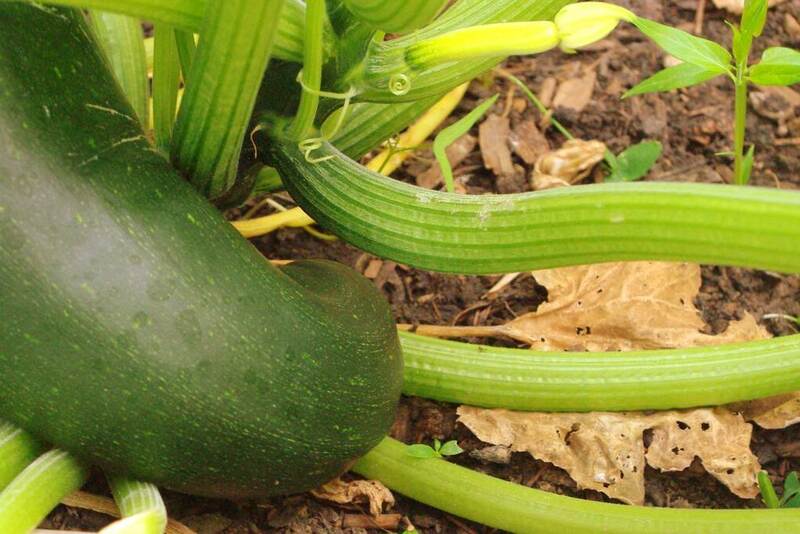 Squash needs full sun and a fair amount of water. I have no idea why yours aren't thriving. Do you water them enough? That looks like the one that got away. There is always one that manages to outwit and grow to some gigantic size. They are best eaten small. You can tell if it svb by the presence of frass outside the stem. I never had a problem with squash until I came to Texas. never even saw a svb until here. eggs are laid by a moth which you rarely see and the larva overwinters in the soil. I had great success last year by covering with netting but other than that you have to hand pick the eggs every day. I am also in the "harvest smaller" camp. The flavor is way better in my opinion. We can't seem to grow it in the KC area. 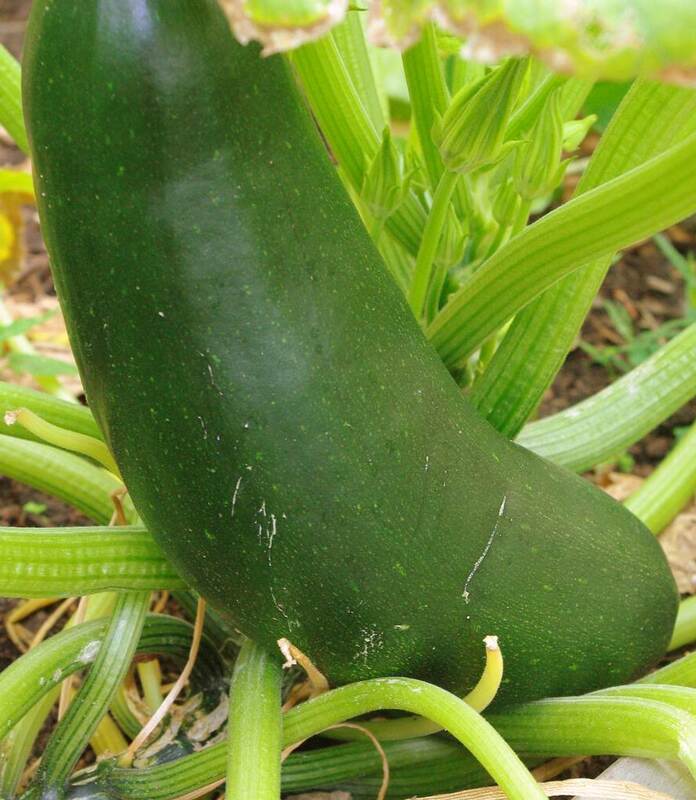 I have memories of a patio filled with zucchini my mother grew and neighbors begging to take some of theirs as well. I blame the soil. It's too bad because we love zucchini, either tossed in a pan with a little olive oil or sliced lengthwise, sprayed with oil and lightly grilled. The latter has a slightly marshmallow-y flavor. Hey, I'm all for harvesting small. I just need *something* to harvest now, as that was the only fruit out of three plants. Wow that's huge. I think its not unusual - Barbie brought me one this size last year. They get HUGE in the right conditions. How did it taste? 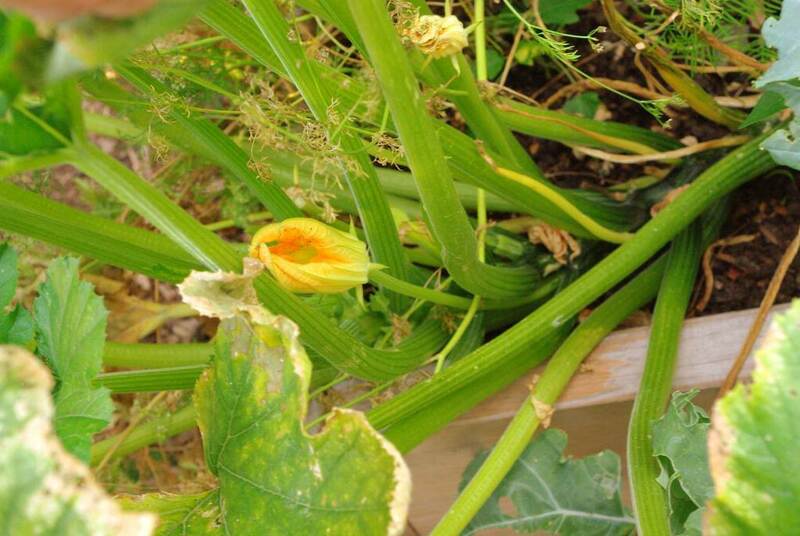 I was hoping for the 'leaving bags of zucchini at neighbor's doorstep' scenario myself...last year I did not get any; this year I had some squash in the early season but have since lost 3 squash and 7 pumpkin plants to squash vine borers. Ugh...I wish there were ways to control the borers. They are cancer to plants. Wow! What a wopper! I also had one of those biggies when I was not looking. Usually, you harvest them when they are much smaller - they taste better and the plant produces more when you harvest regularly. I had a great crop last summer - lets see if they produce again this year! Mine get attacked by a fly/moth of sorts. It bores a hole and larvae chop from inside - nasty!